Heading into 2009/2010 Fiorentina was considered a team on the rise. The Serie A squad had finished in fourth place two consecutive seasons and was hoping for a third, but other then a strong Champions League run the squad would suffer a forgettable season finishing in 11th place in league play and failing to secure a single trophy in the process. In the off season the side gave their coach since 2005 Cesare Prandelli his walking papers and hired new boss Sinisa Mihajlovic from Catania. Since that move was made the disappointing squad from last season has suffered even worse results then the ones in 2009/2010. In six matches this season Fiorentina has only been victorious once and that was against another relegation bound club in Parma. We thought we’d overcome the difficulties, but I wouldn’t dramatise anything. 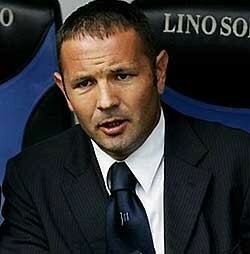 Sinisa isn’t the problem. It’s not easy to change after many years. And although this approach by Dellav is not too common anymore, I have to say that I completely agree with the owner. Often in European football I feel the management jumps the gun too often and fires a coach before they have even settled in. When an owner hires a coach for a multiple year contract, the owner should approach his first half of the coach’s first season with an open mind. Like Dellav said it takes time to put together a winning formula especially when you are attempting to change the tactics that remained a certain way since 2005. Mihajlovic deserves at least 80% of a single season to prove that he is up to the task, but if he can not move the club up the board over the span of around 30 games then it is okay to talk about replacing the coach. But 6 games is only 6 games and a new coach needs more time then 4 or 5 weeks to make a new system work.